12 signs you’ve found your perfect match! Are you a business looking for the perfect digital agency to show you true customer satisfaction? Or are you an agency tired of time wasters and are desperately seeking for the perfect client to do some hot business with? ♡ – There’s a real energy and drive when you meet, which is infectious and gets you both excited about the project. ♡ – The client knows how to give a good brief. The agency reciprocates by meeting the client’s exact needs. ♡ – You’re both honest about budget and project costs. Because you know it gives the project the best chance to succeed. ♡ – Each of you has an absolute and genuine passion for your business. ♡ – You share the same objective to grow into a successful business by putting customers first. ♡ – You both believe in positive communication; trust; and enjoy working in a collaborative manner. ♡ – You speak the same language and have a mutual appreciation for words such as quality, performance, and engagement. ♡ – You also have a mutual appreciation for acronyms such as CTA, PPC, and SEO… and get a real buzz from ROI! ♡ – You see each other as part of the same team. ♡ – You both work in a professional manner.Period. ♡ – You both expect and want Service Level Agreements; mutually beneficial and transparent contracts; and honouring requests for information when needed. ♡ – There’s a shared belief that proper time and investment in digital marketing will keep the competition at bay and will give your business the best chance to thrive! And don’t forget, sometimes what you’re looking for is right under your nose. 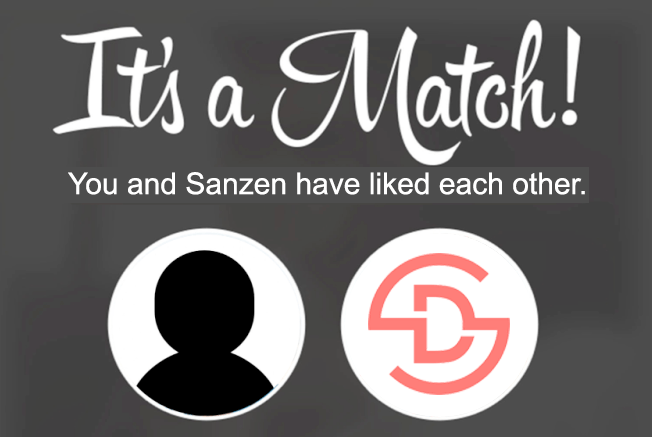 So if you’re feeling the love and think WE can do some great project work together – let’s see if we’re a match? You never know!